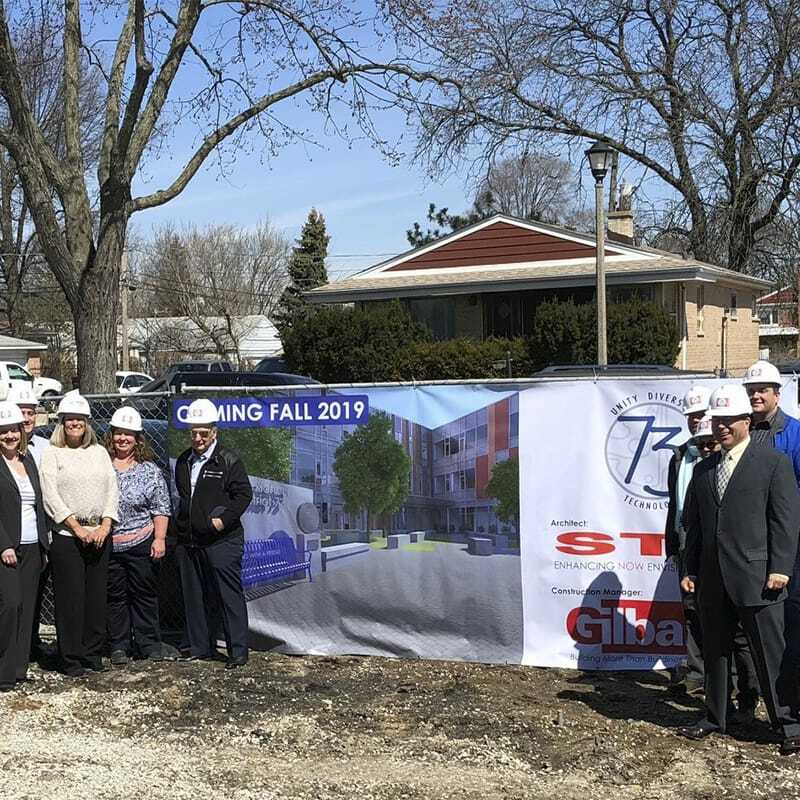 Gilbane breaks ground on a new elementary school in Skokie. Gilbane is serving as construction manager for the new $47 million elementary school being built on the existing school site. The school will remain fully operational throughout construction with construction being completed in phases. The project was made possible by a successful November 2016 referendum. During the referendum process, Gilbane partnered with the board of education, administration, building committee, community, referendum consultant and architect to determine five different project options ranging from life safety, additions and renovations to the existing East Prairie School and a new school facility. Working with a citizen task force and hosting numerous town hall meetings, Gilbane was heavily involved with community engagement events regarding safety planning, budget, schedule, phasing and logistics to provide a thorough plan for the community to understand heading into the vote. Ultimately, the community’s support resulted in a 65% yes vote. The plan calls for a three-story building constructed in phases that will be built adjacent to the existing school. Through significant preconstruction planning and coordination efforts, students will continue to attend school as the new school is being constructed. Each floor will be divided by grade level with the first floor for the youngest students and the third floor for the middle school students. The project also involves improving traffic issues near the school during drop off and pick up by incorporating two drop-off areas, one being a circular drive allowing parents to drop off kids at the front door and another along East Prairie Road where older students will be dropped off.